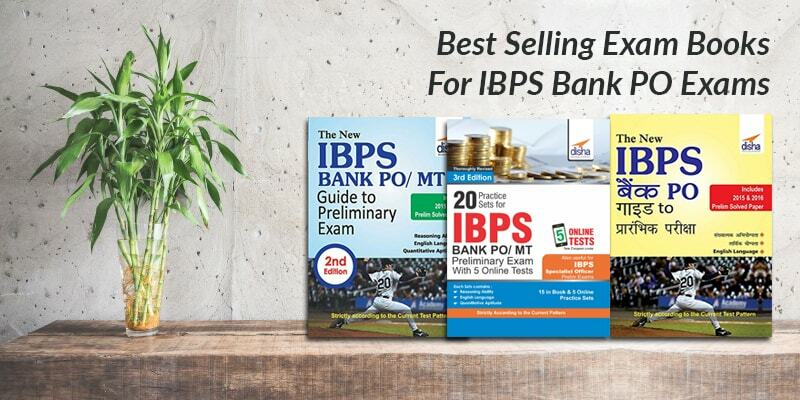 IBPS PO is conducted by IBPS for aspirants seeking the post of Probationary Officer in banking sector. To get the job, aspirants needs to cross three hurdles-prelims, mains and interview. IBPS PO Prelims is thus the basic entry level exam. Candidates who clear this step will be eligible to sit in the main exam. Thus, full focus, attention, tips and techniques should be paid on cracking the prelims. Preliminary is an objective type paper consisting of 100 questions from English language, Quantitative Aptitude and Reasoning Ability. The time allotted to attempt these questions is 1 hour. It is important to remember that each section has its value and each chapter in the syllabus has an individual cut-off too. Thus the initial step for your preparation strategy should be to thoroughly brace yourself with the syllabus. Besides this, there is a minimum overall score decided by the IBPS after the results are tallied, which needs to be crossed to move to the next round. Choose an updated and validated IBPS Preparation guide for your preparation. Disha Publications provides you with a guide which covers the whole syllabus. Take up the section which you feel you are strong in. If your forte is English language (for example), the attempt it first and then move on to other sections. Practice makes perfect. Go through IBPS PO Prelims solved papers to get a knock of exam pattern and repeated questions. Practicing mock test will help with your speed and accuracy. Go through previous years papers and practice them in the exam room scenario. Learn formulas and shortcut tricks as they come handy in solving long calculations. Quantitative aptitude takes the most time. Try to devote extra 5 minutes to this section. It is advisable to make notes of shortcuts and tips and tricks for quick revision in the last hour. During the exam, try to attempt the English language section in 15 minutes, reasoning ability in 20 minutes and quantitative aptitude in 25 minutes. Do not rely on GUESS TECHNIQUE. Since there is negative marking too, guesses should be avoided. Answer only if you are sure. Do not take stress for the topics which you haven’t covered. Try to give your best in the topic s in which you are through with. Take adequate sleep and diet before the exam. Overall heath is crucial for clearing the exam. Finally the ultimate score is dependent upon accuracy with speed. Do not waste your time on single topic. For attempting 100 questions in 60 minutes, you need to be quick. Time management is the key to cracking this exam. On the day of your examination, go with a confident and relaxed state of mind to attempt and crack the IBPS PO prelims.